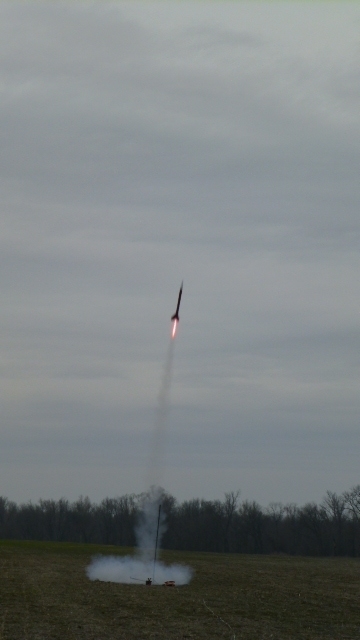 Darryl's Thunder on the pad loaded with an I213CD-HTML Research Motor he made. 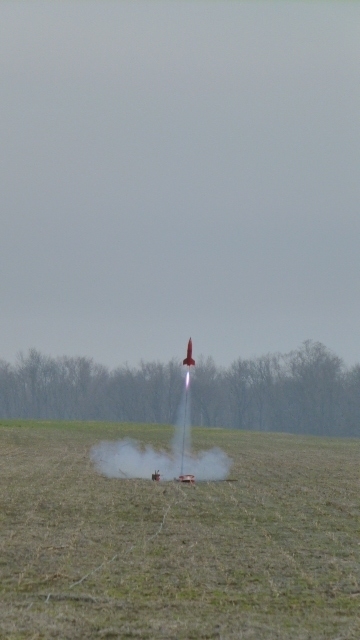 Darryl's "neck snapping" Thunder screaming skyward on an EX motor. 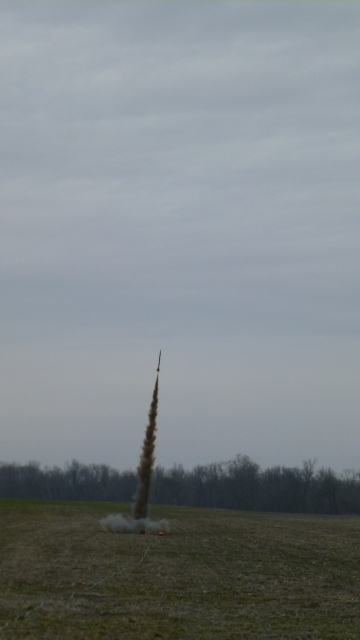 Dilbert's BuckeyeBlast on an I195RL at lift=off. 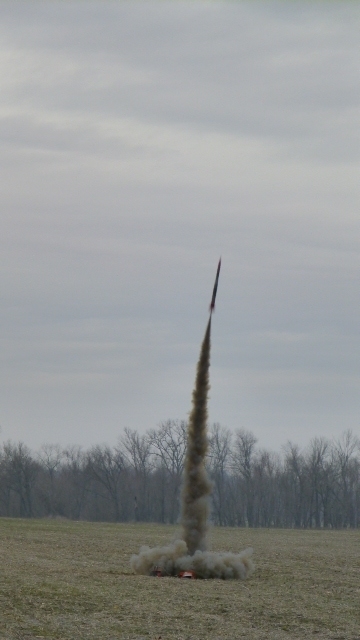 An in-flight view of Dilbert's BuckeyeBlast before "settling in for the night". 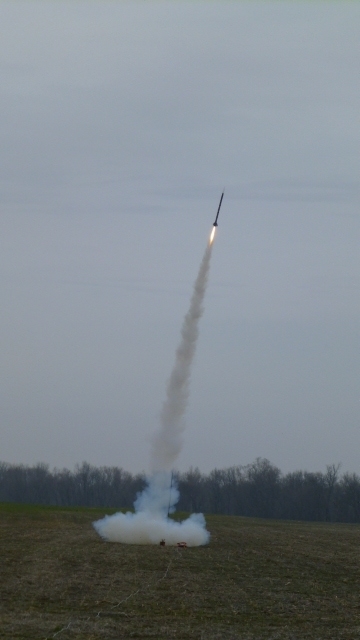 Dilbert's ColorMeGone just leaves the pad on an I175W. 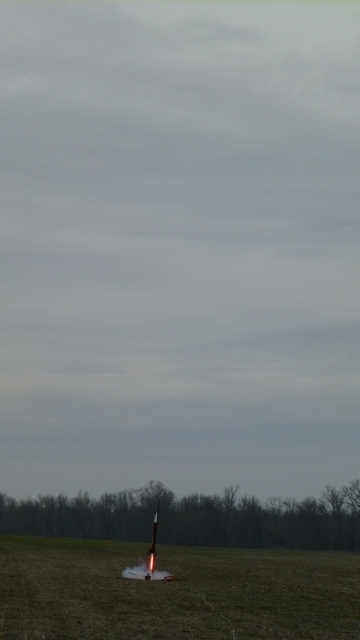 Dilbert's ColorMeGone leaves a beautiful smoke trail during flight. 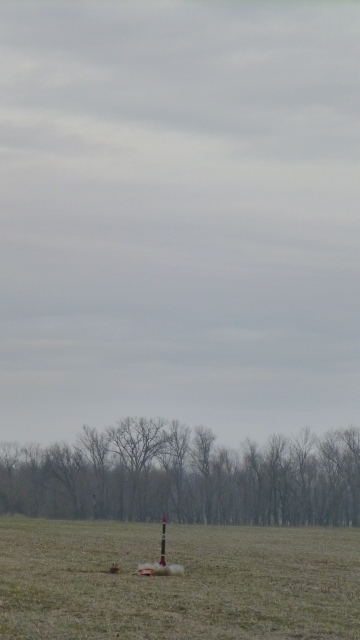 Rocket landed in a tree and was recovered the same day. 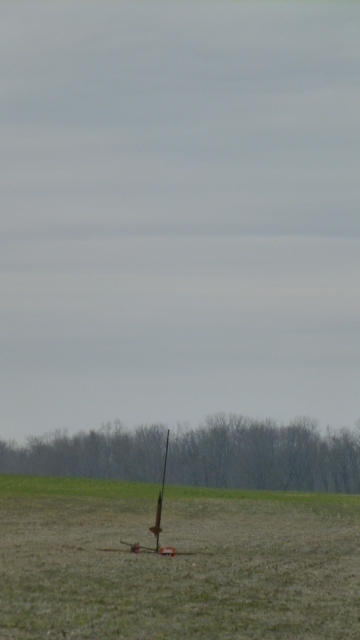 Jeff's Lil Rascal lifting off on a H152BS. Jeff's Lil Rascal looking for a place to swim. 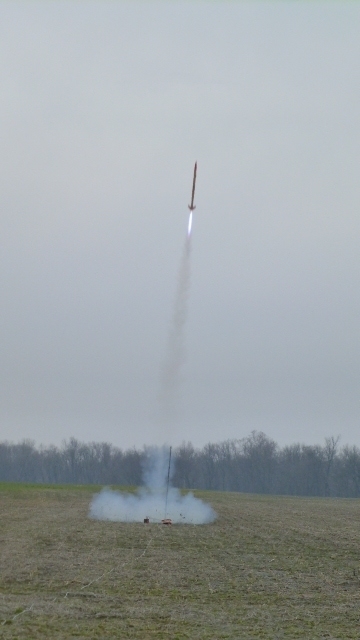 Jeff's Stovi ready for launch using a G88SS. 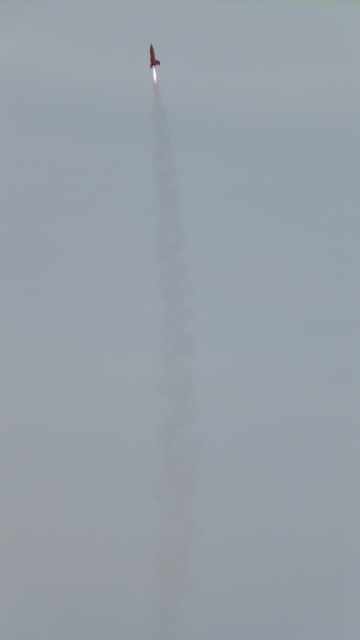 Jeff's low and slow Stovi producing a majestically beautiful black trail as it gracefully rises into the sky. 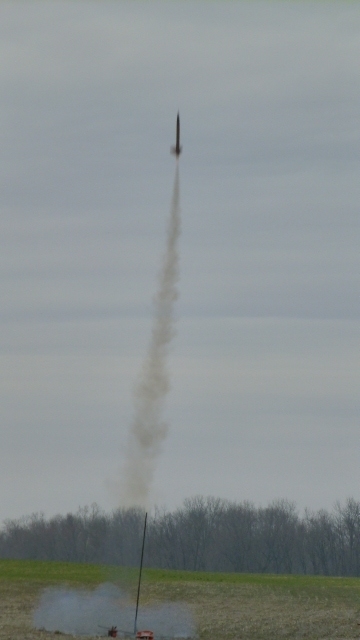 Jeff's Wildchild on a F78SS rises into the sky leaving a flowing black trail of smoke. 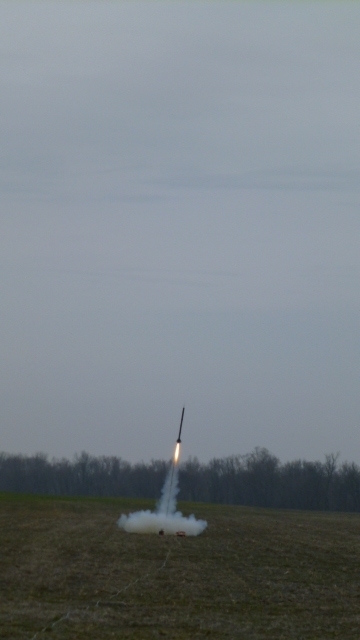 Nick Greco (UofL) and the NSLI on a J425BS. 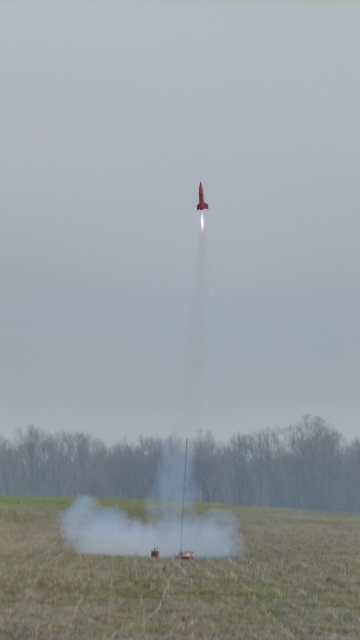 The rocket wanted a different look and decided to shred all fins during flight. Pictures courteous of Jeff Caldwell.